Since 1999, MediaServe has provided website hosting, video streaming and business email services to clients in over 100 countries. Our hosting is secured by Imunify360. 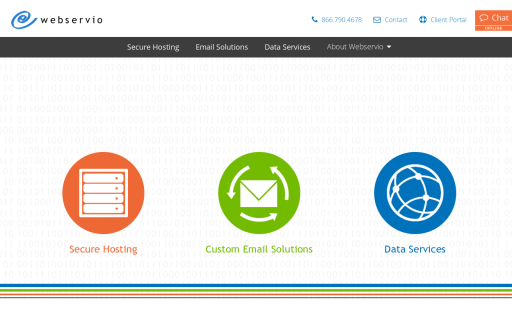 Webservio is dedicated to providing professionals and businesses with secure web hosting, custom email solutions, and data connections.